One of the founders of Project GREEN, Gretchen Harshbarger, knew from her professional experience what a beautification group could do for a city. Gathering together people who could offer specialized, professional or practical help, she initiated a lively groupwhich produced ideas goals and objectives, programs and projects – Project GREEN. The memory of Gretchen Harshbarger will be long treasured as a kind of special inspiration for all those whose lives and gardens benefited from her sharing of talent, information, encouragement and enthusiasm. Greatly appreciated as a seemingly endless source of help and lively ideas, she taught us the magic of sharing garden treasures. Each year this dynamic concept is expressed in the GREEN Garden Fair, suggested by Gretchen in 1971. Gretchen encouraged our garden efforts and guided the Garden Fair. 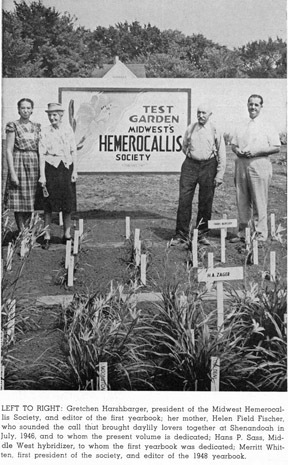 A native Iowan and niece of Henry Field the seedsman, Gretchen was a professional landscape architect as well as a nationally honored garden writer and photographer. 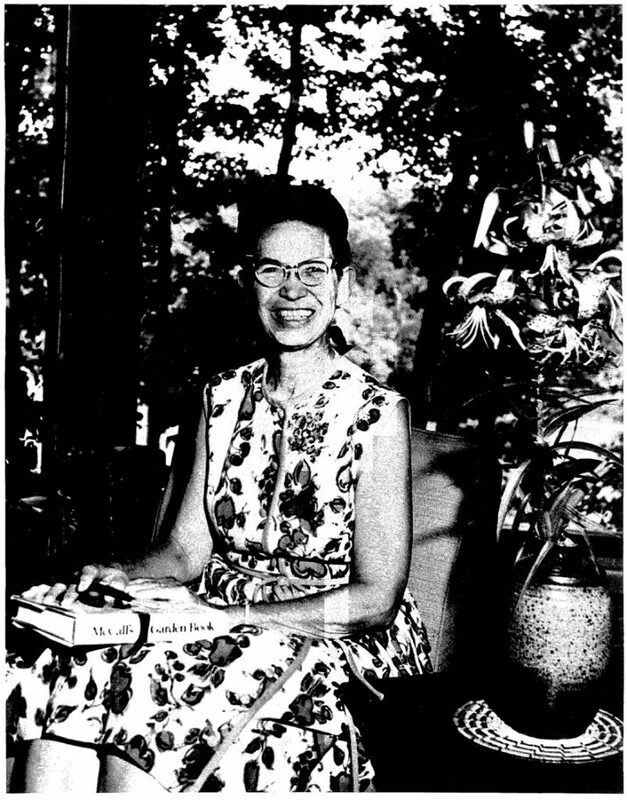 She received a BLA from Cornell University, the first five-year program in landscape architecture, in 1928. Marriage to Clay Harshbarger in 1929, moving to Iowa City and the arrival of two sons, Fritz and Karl followed. In the next two years she was illustrating and writing for Better Homes & Gardens, followed by Household magazine and American Home. 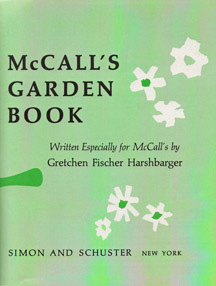 Her work on McCall’s Garden Book began in the 1960s. Published in 1968, this book has provided and still gives encouragement and sound direction to garden enthusiasts. Over the ensuing years, her professional design talents found expression in public and private projects in eastern Iowa, including the planting of Iowa City’s Dubuque Street entrance and Iowa Avenue. Gretchen’s philosophy included a balance between good design and practical considerations. She also had a deep and abiding sense of the interrelationship of people with their environment. “I like to think of the whole city as an arboretum,” she once said, by way of encouraging a better perception of utilizing the many values trees can bring to a community. Her legacy to Iowa City will long be ours to appreciate and to nurture. All of us who worked with her will never forget her energy, enthusiasm and ideas, her gifts as a teacher and advisor, and her gardening wisdom with which she enriched the whole community.